Match ends, Perugia 2, Crotone 1. Second Half ends, Perugia 2, Crotone 1. Offside, Perugia. Marco Moscati tries a through ball, but Federico Melchiorri is caught offside. Substitution, Perugia. Mattia Mustacchio replaces Valerio Verre. Sauli Väisänen (Crotone) is shown the yellow card for a bad foul. Valerio Verre (Perugia) wins a free kick on the right wing. Foul by Sauli Väisänen (Crotone). Offside, Perugia. Valerio Verre tries a through ball, but Kingsley Michael is caught offside. Valerio Verre (Perugia) wins a free kick in the defensive half. Foul by Andrea Barberis (Crotone). Attempt saved. Simy (Crotone) right footed shot from very close range is saved in the centre of the goal. Marcus Rohdén (Crotone) wins a free kick in the defensive half. Foul by Pasquale Mazzocchi (Perugia). Corner, Perugia. Conceded by Marco Festa. Attempt saved. Vlad Dragomir (Perugia) left footed shot from the centre of the box is saved in the bottom left corner. Assisted by Valerio Verre with a through ball. Attempt saved. Federico Melchiorri (Perugia) right footed shot from outside the box is saved in the top centre of the goal. Assisted by Kingsley Michael. Foul by Vlad Dragomir (Perugia). Federico Valietti (Crotone) wins a free kick on the right wing. Substitution, Crotone. Federico Valietti replaces Salvatore Molina. Hand ball by Giovanni Crociata (Crotone). Attempt blocked. Marcus Rohdén (Crotone) right footed shot from the centre of the box is blocked. Assisted by Andrea Barberis. Attempt blocked. Ante Budimir (Crotone) right footed shot from the centre of the box is blocked. Assisted by Simy. Substitution, Perugia. Marco Moscati replaces Raffaele Bianco. Offside, Crotone. Mario Sampirisi tries a through ball, but Marco Firenze is caught offside. Corner, Crotone. Conceded by Vlad Dragomir. Attempt blocked. Marcus Rohdén (Crotone) right footed shot from outside the box is blocked. Assisted by Marco Firenze. Vlad Dragomir (Perugia) wins a free kick in the defensive half. Foul by Giovanni Crociata (Crotone). Raffaele Bianco (Perugia) is shown the yellow card for a bad foul. Giovanni Crociata (Crotone) wins a free kick in the defensive half. Foul by Raffaele Bianco (Perugia). Substitution, Crotone. Ante Budimir replaces Marco Faraoni. Substitution, Crotone. Giovanni Crociata replaces Adrian Stoian. Corner, Crotone. Conceded by Michele Cremonesi. Offside, Perugia. Valerio Verre tries a through ball, but Federico Melchiorri is caught offside. Marcos Curado (Crotone) wins a free kick in the defensive half. Simy (Crotone) wins a free kick on the left wing. Foul by Jawad El Yamiq (Perugia). Federico Melchiorri (Perugia) wins a free kick in the defensive half. Marcus Rohdén (Crotone) wins a free kick in the attacking half. Foul by Valerio Verre (Perugia). Offside, Crotone. Simy tries a through ball, but Adrian Stoian is caught offside. Substitution, Perugia. Jawad El Yamiq replaces Luca Vido. Own Goal by Simy, Crotone. 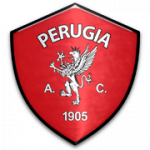 Perugia 2, Crotone 1. 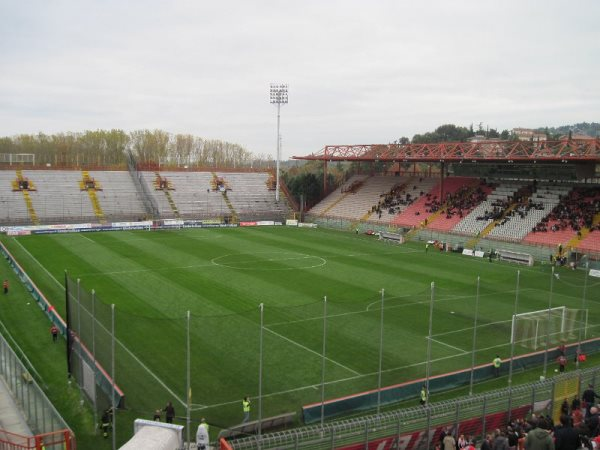 Delay in match Kingsley Michael (Perugia) because of an injury. Marco Faraoni (Crotone) is shown the yellow card for a bad foul. Kingsley Michael (Perugia) wins a free kick on the right wing. Foul by Marco Faraoni (Crotone). Attempt blocked. Adrian Stoian (Crotone) right footed shot from outside the box is blocked. Pasquale Mazzocchi (Perugia) is shown the yellow card for a bad foul. Marco Faraoni (Crotone) wins a free kick on the left wing. Attempt saved. 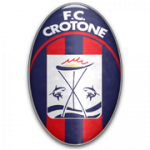 Adrian Stoian (Crotone) right footed shot from outside the box is saved in the bottom right corner. Attempt blocked. Federico Melchiorri (Perugia) right footed shot from outside the box is blocked. Assisted by Nicola Falasco. Goal! Perugia 1, Crotone 1. Simy (Crotone) converts the penalty with a right footed shot to the bottom right corner. Penalty conceded by Norbert Gyömbér (Perugia) after a foul in the penalty area. Penalty Crotone. Simy draws a foul in the penalty area. Corner, Crotone. Conceded by Norbert Gyömbér. Attempt blocked. Andrea Barberis (Crotone) right footed shot from outside the box is blocked. Delay in match Michele Cremonesi (Perugia) because of an injury. Second Half begins Perugia 1, Crotone 0. First Half ends, Perugia 1, Crotone 0. Attempt missed. Marco Faraoni (Crotone) right footed shot from outside the box is close, but misses to the left. Offside, Perugia. Nicola Falasco tries a through ball, but Luca Vido is caught offside. Foul by Mario Sampirisi (Crotone). Attempt missed. Kingsley Michael (Perugia) right footed shot from outside the box misses to the left. Assisted by Valerio Verre. Attempt saved. Marco Firenze (Crotone) header from very close range is saved in the centre of the goal. Assisted by Salvatore Molina with a cross. Marco Faraoni (Crotone) wins a free kick in the defensive half. Foul by Luca Vido (Perugia). Attempt missed. Federico Melchiorri (Perugia) left footed shot from a difficult angle on the left misses to the right. Assisted by Raffaele Bianco. Delay in match Vlad Dragomir (Perugia) because of an injury. Attempt saved. Michele Cremonesi (Perugia) with an attempt from the centre of the box is saved in the bottom left corner. Assisted by Valerio Verre with a cross. Corner, Perugia. Conceded by Sauli Väisänen. Attempt missed. Marcus Rohdén (Crotone) right footed shot from outside the box is just a bit too high following a corner. Foul by Federico Melchiorri (Perugia). Nicola Falasco (Perugia) wins a free kick in the defensive half. Foul by Marco Firenze (Crotone). Salvatore Molina (Crotone) wins a free kick in the attacking half. Goal! Perugia 1, Crotone 0. Valerio Verre (Perugia) right footed shot from the centre of the box to the centre of the goal. Assisted by Kingsley Michael. Attempt blocked. Vlad Dragomir (Perugia) left footed shot from outside the box is blocked. Attempt blocked. Kingsley Michael (Perugia) right footed shot from the centre of the box is blocked. Assisted by Luca Vido. Attempt saved. Federico Melchiorri (Perugia) left footed shot from the centre of the box is saved in the top centre of the goal. Assisted by Luca Vido. Attempt missed. Federico Melchiorri (Perugia) right footed shot from outside the box is high and wide to the right. Assisted by Raffaele Bianco. Delay in match Valerio Verre (Perugia) because of an injury. Valerio Verre (Perugia) wins a free kick on the left wing. Foul by Marcos Curado (Crotone). Attempt saved. Marco Firenze (Crotone) header from the right side of the six yard box is saved in the centre of the goal. Assisted by Adrian Stoian with a cross. Attempt blocked. Raffaele Bianco (Perugia) right footed shot from outside the box is blocked.